EDITOR”S NOTE: Today we have a guest post about the difficult subject of euthanasia from Mary Alusin. As a pet owner, you can identify with me if I say that I’d wish my pet dog will live forever. Such wishes root from the fact that our furry friend actually has to die. We know it’s true, but we can’t help but deny it, right? I admit that I had lived in denial. My little dog, Robin, was getting old and had grown weaker this year. I noticed it, but I refused to acknowledge that she was exhibiting signs of aging. That is because I knew what was next after that. Until time forced me to accept the reality. Robin had suffered a few respiratory diseases when she was in her prime. And she managed to survive all of them. But her bout with pneumonia this year was different. We had our vet check on her. We gave her medications. We pampered her more. But her health kept on deteriorating. She, then, reached a point where she wouldn’t eat and move anymore. It was a bit weird from my perspective, as she was supposed to get better already. It dawned on me. What if my dog is at her end, but is fighting so she can run to me again? It was a comforting thought at first. But for the few days that I saw how she suffered. I figured it would be selfish to keep her like that. She should instead be free of the struggle. When I realized that, I consulted with my vet about putting my pet to sleep. All things considered, he agreed with the option of spending on dog euthanasia. He gave an assurance that the procedure would be painless for Robin. I was relieved to know that Robin would no longer suffer. 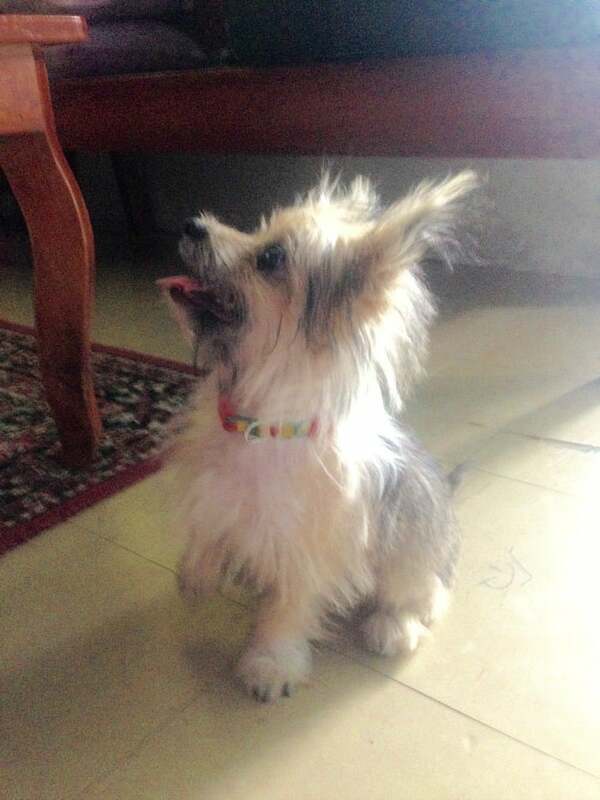 But when I arrived home and saw her again, I felt a sharp and heavy pang inside. I brought Robin to our vet’s clinic the next day. After some finalizations, my veterinarian led me to the lab and left us. He said I should say my goodbyes first. I was sitting there, carrying a nearly lifeless Robin. I hugged her and began to cry. I heard a soft whine, and I cried even more. She couldn’t speak so I thought it’s pretty useless to talk to her. Instead, I continued to hug her and cry. I felt it was enough to tell her how sad I was that we have to part. I felt that my pet is aware of what’s about to happen. And that she has accepted it. I was holding Robin when the vet administered the drug for putting her to an endless sleep. She relaxed a little. Then, just like that, she was gone. My eyes were dry, then. I thought: Ah, it was indeed a painless death. But it left a hole within me that was so big, it couldn’t even be expressed in tears. Our family buried Robin in a patch of land we own after holding a short ceremony for her. My younger siblings were wailing when the casket was brought down. I also cried a little. There was little grief on my part. I was, after all, still in denial. It was when we returned to our normal lives that the grief finally engulfed me. It’s because I realized that a part of my daily life is now gone. Forever. There was a missing piece in everything, from my morning brisk walking to returning home. Fortunately, my family and friends helped me cope. They let me cry or talk about Robin when I felt like doing so. They offered consolation and didn’t force me to get on with my life. My father put it perfectly by saying that I should grieve and never hold back. I also found relief by collecting all of Robin’s photos and posting them online, one picture each day. It helped me remember all of our fun times together. And as I go on with the reminiscence, I was relieved and thankful that I had given my pet a happy life. 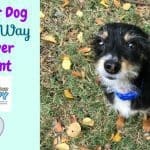 To put your pet dog to sleep (euthanasia) is a difficult decision. You have to consider a lot of things before choosing such an option. But, if it’s to end your furry friend’s suffering, know that the procedure is for the best. Of course, you have to prepare yourself for the grief that is to come. Just like me, you can get help from your family, friends, and your memories with your pet. Always know that the profound sadness will pass. And soon, you will realize that you’re doing your deceased pet a favor by moving on. I am sorry for your loss, and totally understand your pain. I went through this almost exactly a year ago. 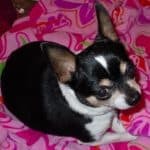 Keltie was my first chi and having to help him cross the Rainbow Bridge was extremely painful. Six months before that, we had to help my daughter’s first chi, Sassy Girl, cross over. Both were terribly difficult, but our vet made it little easier. In each case, they put us in a separate room and told us to spend as much time with our fur babies as we wanted, and just to let him know when we were ready. My little man went very quietly and easily. Afterwards, the vet told us we could stay with him as long as we needed/wanted to. We stayed for a little while, and then we were ready to go. We both opted to have our fur babies cremated. The company that does it for our vet did a wonderful and considerate job. Before the cremation, they cast a footprint of each of them and made the print into an ornament with their name on it. When we got the cremains, they were in a very nice little wooden box. I have missed both of them so much in the last year and a half. 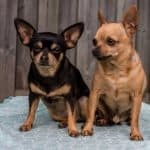 It was also hard on my other chi, Kissy – she really missed her brother and foster mother; they’d been there her whole life. I have since gotten a chi-mix, Duchess, to keep Kissy company. She’s a rescue and they are about the same age. They get along well, and Duchess has helped fill the hole in my heart just a little. There will always be a little part of my heart missing because it crossed the Rainbow Bridge with Keltie. Thank you June. I remembered your story about your babies. I’m glad you got Duchess for Kissy. I have 2 larger dogs. Roxy hasn’t seemed to miss Kilo at all but Buddy sure does. He keeps looking for her and seems depressed. I didn’t cremate Kilo. 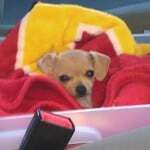 I brought her home and buried her in my back yard next to Joey, my beloved terri-poo that passed several years ago. Cremation is a personal decision, and it’s not for everyone. Keltie is the first of my pets I’ve had cremated; I have a small pet cemetery in my back yard from dogs, cats, hamsters, etc. from years gone by. Kissy is finally getting used to not having Keltie around and to completely accept Duchess and the kitty we have adopted. She’s always accepted Duchess, but didn’t snuggle with her. They have just gotten to the point where they snuggle a little bit – after almost 9 months. Maybe Buddy and Roxy will grow closer together since losing Kilo. So far, we have always buried our dogs in our back yard instead of cremating them. But I’m not against cremation and will probably do that with Buddy and Roxy when their time comes since they are big dogs. Buddy and Roxy always were very close though Buddy liked Kilo too. Roxy just tolerated her and doesn’t seem to care at all that she is gone. Buddy keeps looking for her though. We had to have Bruiser put down last year. He’d lost half his weight, most of his teeth, and wasn’t going to get better. Keeping him with us was selfish. I’ve come to realize that pets are on loan to us, so that we can see how we’re supposed to treat others. Just wanted to say that I’m so very sorry for the loss of your baby! 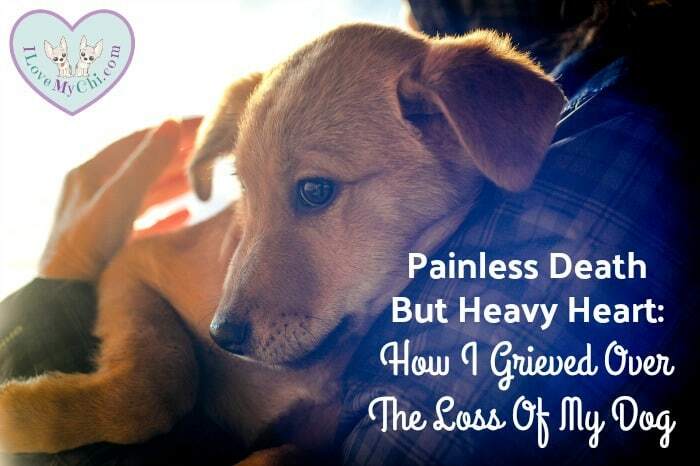 I have lost different kinds of animal loves of my life and no matter what kind, your heart does ache the same way as losing any other family member or friend that you loved with all of your heart! Oh wow, I’m so sorry Zoeanne. Do you know what caused her death? I feel your pain and loss, my wife and me will be facing that same choice or Pinky puppy is 16 and is struggling to walk at times among other things. 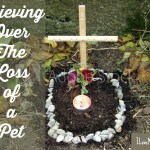 It’s not an easy choice but I wanted to give everyone an option for remembering their pet. My wife and me are both talking cremation for ourselves so we have talked about the same for our pup the twist is called a spirit tree the jest is you cremate the pet put the ashes in a biodegradable container and put that in a biodegradable pot that has a tree in it thus feeding the tree with the ashes of your pet allowing them to live on in the tree. I thought that was a neat option so I hope I have given you something to think about . I am including this link to a web site where you can get the supplies for the spirit tree. I have heard of that before Kenneth. What a lovely way to remember your dog.